Nevertheless I managed to catch the drama which I missed during Saturday’s service. Paid a short visit to another Peter. But this one is Peter Ong who fractured his ankle in a freak accident while playing soccer. 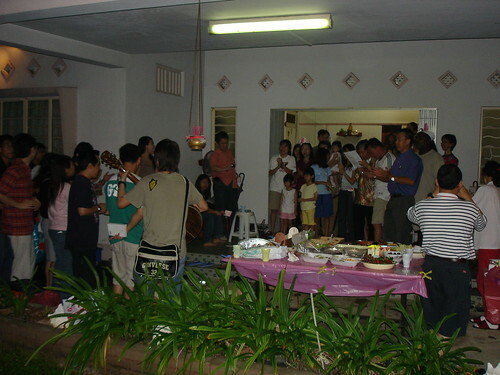 Christmas eve was spent at Keng Suan’s house where we had a simple and cosy affair of eatingand watching TV. And we did a crazy thing as well… we decided to spread the Christmas spirit to her neighbours with carolling.